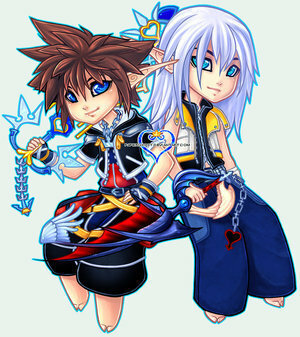 sora and riku. . Wallpaper and background images in the কিংডম হার্টস্‌ club. WTF y r they elves??????? ?